Tha Leabharlann Sabhal Mòr Ostaig a’ cur na tasglainn aca ann an rian uair an-dràsta, agus an cois na h-obrach seo, tha iad a’ reic cuid dhe na seann leabhraichean aca: leth-bhreacan a bharrachd no leabhraichean air an caitheamh le cus leughaidh agus a leithid, agus cheannaich mi ultach dhiubh. Nam measg, fhuair mi fear eile de na leabhraichean-cruinneachaidh aig Gairm. Uaireigin na h-eachdraidh, rinn deasaichean Gairm sreath de leabhraichean a chruinnich na h-irisean aca ri chèile, agus b’ e àireamh 9 a bh’ anns an fhear seo, a’ gabhail a-steach na h-irisean bho 1960 agus 1961. Agus a’ leughadh troimhe, dè lorg mi ach sgeulachd fhicsean-saidheans eile ris nach do thachair mi roimhe: ‘Am Putan Dearg’ le Fionnlagh I. MacDhòmhnaill. B’ ann anns an eagran 34 a nochd i, an aon eagran anns an do nochd sgeulachd fhicsean-saidheans thràth eile: ‘Crìochan Farsaing” le Cailean T. MacCoinnich. Is iongantach cho pailt ’s a bha ficsean-saidheans ann an rosg Gàidhlig anns an fhicheadamh linn. Ciamar nach robh fios agam mu sheo!? Anns an sgeulachd seo, tha MacDhòmhnaill a-mach air triùir a’ fuireach ann an saoghal diostopach ri teachd: fear ann an New York, fear ann am Peking, agus fear ann an Uibhist, an Gàidheal mu dheireadh anns an eilean. Tha gach fear ag obair dha na riaghaltasan aca, a’ cumail faire agus am meòir air na putanan a loisgeas na rocaidean niuclasach aca ma chì iad fianais air ionnsaigh bho na nàimhdean aca. Agus tha iad uile air an cronachadh leis na comannan ceannsachail aca ann an dòigh air choreigin: tha pàiste a bharrachd air an dithis a tha ceadaichte aig an fhear ann an New York; chaidh am fear ann am Peking a spothadh air sàillibh ’s gun robh pàiste gun chead aigesan; agus chaidh am fear ann an Uibhist a thoirt air falbh bho a phàrantan is e na bhalach òg, agus a chur gu sgoil shònraichte far an do rinn na h-ùghdarrasan nighe-eanchainn air. Ach cha do sguab iad a h-uile toinisg às a’ Ghàidheal ghaisgeach seo, agus nuair a nì teaghlach de ghobhlanan-gaoithe nead na h-uinneig, thèid seann tuigse adhlaichte aig bonn inntinne a dhùsgadh a chuireas a shaoghal gu sgrios. Mar mhòran sgeulachdan ficsean-saidheans Gàidhlig às an linn sa, tha crìonadh cultair agus cànain na fho-theacsa soilleir, agus anns an sgeulachd seo, ’s e an ceangal dùthchasach aig an duine ri nàdar ann an Uibhist a bheir slighe a-mach dha à smachd nan ùghdarrasan. Tha e smaoineachail gun deach uibhir de dh’fhicsean-saidheans a sgrìobhadh anns a’ Ghàidhlig tro na 60an agus tràth anns na 70an, agus tha mi cinnteach gun lorg mi barrachd. Molaidhean? Fionnlagh I. MacDhòmhnaill (1960) ‘Am Putan Dearg,’ Gairm 34:171–5. 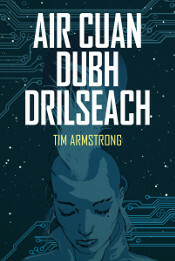 ’S e Maighstir Robot am prògram t.bh as fheàrr leam an-dràsta, agus chan eil an sgot as lugha agam carson nach eil e nas mòr-chòrte na tha e. Chainte gur e seòrsa ficsean-saidheans ‘co-aimsireil’ a th’ ann, a-mach air teicneòlas an latha an-diugh agus a’ bhuaidh a th’ aige air ar comann, ach mar a tha a’ bhideo gu h-àrd ag argamaid, tha e fada nas fharsaing na sin, a-mach air an sgaiteachd, air an iomagain agus air an aonaranachd a tha air fàs uile-làthaireach nar bheatha anns an aona linn air fhichead. Ach adhbhar air choreigin, cha bhi cus ga choimhead, agus chan eil fhios agam carson. Thòisich e gu mòr, ach a dh’aindeoin nan duaisean a choisinn e, agus a dh’aindeoin cho ùr-ghnàthach ’s a tha e anns a h-uile dòigh, tha na h-àireamhan a bhios ga choimhead a’ sìor a dhol sìos. B’ e am beachd aig Ideas At Play gu h-àrd nach eil am plot ro chudromach ann am Maighstir Robot, agus ged a tha mi a’ togail na tha e a’ leigeil, ’s e fìrinn na cùise gu bheil am plot aig a’ phrògram fìor theann-ghlacach. Ann an linn anns am bi mòran phrògraman gan dèanamh gun dealbh coileanta aig an sgioba sgrìobhaidh ro làimh (smaoinich air na caran gun chiall anns a’ phlot aig Lost no aig Battlestar Galactica), fhad ’s a thèid sinn air adhart tro Mhaighstir Robot, tha e follaiseach gun do chuir cruthaidhear a’ phrògraim, Sam Esmail, mòran smaoineachaidh anns a’ phlot aigesan, agus e a’ ceangal shnàithlean ri chèile gu dòigheil anns an treasamh ràith a thòisich e fada air ais anns a’ chiad ràith. Tha e uabhasach sgileil. Ach a thuilleadh air sin, tha Maighstir Robot gu sònraichte cudromach air sàillibh ’s nach eil prògram eile againn coltach ris a bhios a’ cnuasachadh ann an dòigh cho dìreach air an t-saoghal anns a bheil sinn beò an-dràsta, saoghal de naidheachdan breugach, Donald Trump, caithris air-loidhne, cumhachd chorporra, olagarchachd eadar-nàiseanta gun smachd, agus m.s.a.a. ’S e linn làn eagail a th’ ann, agus ’s e Maighstir Robot an aon phrògram a bhios a’ sealltainn gu dìreach air an staing anns a bheil sinn gar lorg fhèin a-nis. ’S e an dearbh phrògram a tha a dhìth oirnn mun àm-sa, agus is duilich nach eile barrachd dhaoine ga choimhead. Saoil carson? Nuair a bha sinn a’ cruthachadh a’ chòmhlain-chiùil theicneo againn, Nad Aislingean, bha mi fhìn agus mo charaid, Anna Ròc, gu math titheach air a’ chòmhlan mas-fhìor, Gorillaz, agus a’ leantainn a’ chleas aig Damon Albarn agus Jamie Hewlett, chruthaich mi seòrsa cùl-sgeulachd fhicsineach dhan chòmhlan againne. Cha do rinn mi mòran leis an sgeulachd sin, ach às dèidh dha Nad Aislingean tighinn gu crìch, lean mi orm a’ cnuasachadh mu fhear dhe na caractaran a chruthaich mi, duine saibeirneatach a rapadh, agus thàinig A-Hiom, agus an uair sin, ACDD air fad a-mach às an t-sìol bheag sin. Dh’atharraich an sgeulachd mòran an cois sgrìobhadh na nobhail, agus cha b’ ann mu Nad Aislingean a bha ACDD aig a’ cheann thall, ach chleachd mi eileamaidean dhith, agus nam measg, bha stòras de dhàin agam a sgìobh mi dha Nad Aislingean, ach nach do chleachd mi mus do sguir sinn, agus nochd cuid dhe na dàin sin (le beagan atharrachadh) anns an nobhail mar na rapan aig A-Hiom. O chionn greis, fhuair mi post-d bho Anna, a’ faighneachd am bithinn leagte leis nan dèanadh i lèine-T Nad Aislingean mar phàirt dhen loidhne-fhasain aig a’ chompanaidh dhealbhaidh aicese, Graficanna, agus fhreagair mi, gu dearbh fhèin, bhithinn! Tha na lèintean-T a-mach a-nis agus tha iad àlainn. Tha a h-uile rud a nì Anna garbh cruthachail agus bòidheach, agus thug e orm smaoineachadh air cho cudromach ’s a tha an obair aice, gu h-àraidh na lèintean spòrsail a nì i do chloinn. Fhad ’s a bhios nàdar coimhearsnachdan nan Gàidheal a’ caochladh bho choimhearsnachdan sgìreil gu lìonraidhean de labhraichean, bidh so-fhaicsinneachd mar a bheir bathar Anna dhuinn a’ sìor fhàs nas cudromaich. Is gaisgeach i! O chionn greis a-nis, thog buidhean ‘leasachaidh’ ann an Slèite sanas mòr aig ceann rathaid Shlèite, gun ach bloigheag de Ghàidhlig air, agus coltach ri mòran eile, chuir e cais mhòr orm nuair a chaidh e an àird, agus fhathast, tuitidh mo chridhe beagan gach turas a thèid mi seachad air. Tha iomadh rud gòrach mun t-sanas seo ach ’s e an rud as miosa ’s gu bheil e a’ dubhadh às na 40% againn ann an Slèite a bhruidhneas a’ Ghàidhlig. Tha e gar falachadh mar nach eil sinn ann. ’S e a’ Ghàidhlig agus na labhraichean Gàidhlig a bheir spionnadh dhan sgìre agus a tharaingeas daoine a-steach, ach dìreach mar sin, thèid ar cleith le comataidh beag air choreigin, agus sin e. Saoilidh mi, gu math no olc, gur e strì mu sho-fhaicsinneachd a bhios romhainn tric is minig anns an àm ri teachd. Gu fortanach, tha Anna Ròc ga dèanamh uabhasach fasanta! Mmmm, is toil leam ciom-tì. Tha mi beò air an stuth. Teth, saillte, agus tòrr Lactobacillus beò. Nuair a bha mi òg an Seattle, b’ àbhaist dhomh torran ciom-tì ithe mus do thuig mi nach robh an stuth traidiseanta buileach glasrach. (Gu traidiseanta, cuirear annlan-èisg ann.) Mar sin, nì mi fhìn e a-nis, agus seo an reasabaidh agam. ’S ann do chiom-tì luath a tha i, stuth a bhrachas tu fad 3-4 latha agus a chumas tu anns an fhuaradair. 1/2 spàin bheag de mhin chreabha no 2 chlobha chreabha air a ghearradh gu mìn. An toiseach, meidhich an càl agus iomadaich an reasabaidh mar as iomchaidh. Cothlaim na blasan ann am mias mòr. Slis an t-uinnean ann an siallan. Cothlaim an càl, an t-uinnean agus na blasan. Dinn a h-uile rud fo chuideam fad trì uair a thìde. Chleachd mi prais a theachdas anns a’ mhias, le searrag làn uisge air a muin. Gach uair a thìde, cothlaim a-rithist e.
Bidh an salainn a’ tarraing sùgh às a’ chàl anns an ùine seo. An dèidh trì uairean, dinn an ciom-tì ann an sileagan no dhà, gus an tig an sùgh os cionn ìre a’ chàil. Chan eil thu ag iarraidh an sileagan a lìonadh ro làn; nas lugha na 3/4 làn aig a’ char as motha. Fàg an ciom-tì ri brachadh ann an àite blàth fad trì no ceithir latha, gus am fàs e searbh. Gach latha, fosgail an sileagan agus dinn an ciom-tì sìos a-rithist, a’ bruthadh nam builgeanan CO² às agus a’ cur a’ chàil air ais fon t-sùgh. Na teannaich am muilleach cus; feumaidh an CO² faighinn às dòigh air dòigheigin. Aon uair ’s gu bheil e math is searbh, cuir anns an fhuaradair e agus ith do leòr!! B’ eòlach do sheanair air veigeán! Ceangailte ri pròiseact foillseachaidh a thig a-mach an ceann tamaill, bha mi fhìn agus caraid a’ beachdachadh air na faclan vegan agus vegetarian agus dè a’ Ghàidhlig a chuireamaid orra. Tha mi fhìn nam vegi agus bha mi nam vegan fad greis mhòr nuair a bha mi òg. Nuair a bhios mi a’ bruidhinn orm fhìn sa Ghàidhlig, cleachdaidh mi glasraiche, agus saoilidh mi gu bheil sin reusanta stèidhichte agus so-thuigsinn, ach chan eil fios agam dè a bu chòir dhuinn cleachdadh air vegan. A thaobh nan Èireannach, ’s e veigeán (vegan) agus veigeatóir (vegetarian) a mholar air tearma.ie (ug! 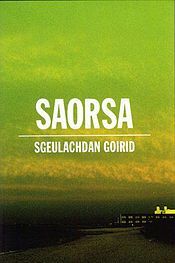 ), ach tha facal nas sine ann, feoilséantóir (vegetarian), a mholar anns an fhaclair aig Ó Dónaill, agus ’s e sin a chleachdas caraidean dhomh ann an Èirinn a Tuath. ’S e pàirt dhen trioblaid nach eil a’ Bheurla fhèin buileach soilleir, ciallach a thaobh nam faclan a chleachdar. ’S e vegetarian cuideigin a bhios a’ seachnadh feòil, ach a dh’itheas uighean, bàine, càise agus a leithid. Chan e tràth-bìdh stèidhichte air vegetables a-mhàin a tha sin idir. B’ e sin veganism. 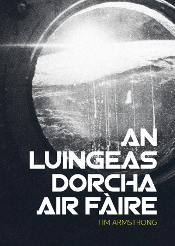 Mar thoradh, tha am briathar Èireannach, feoilséantóir, i.e. cuideigin a bhios a’ seunadh no a’ seachnadh feòil, fada na mìneachail, ciallaich na vegitarian anns a’ Bheurla. Mar sin, mhol mi fhìn dhan charaid agam bu dòcha gum bu chòir dhuinn feoil-sheunadair a chleachdadh air vegetarian agus glasraiche no lusadair a chleachdadh air vegan. Bhiodh sin a’ dèanamh ciall a thaobh brìgh nam briathar, ach mhol mo charaid bu dòcha gum biodh e na b’ fheàrr cleas na Gàidhlig a leantainn a thaobh ìrean no chaiseadan, a’ dèanamh feum às na ro-leasachain sàr-, fìor- no làn-. Air an alt sin, mhol esan glasraiche air vegetarian agus làn-ghlasraiche air vegan. Hmm, chan eil mi cinnteach. Dè do bheachd?